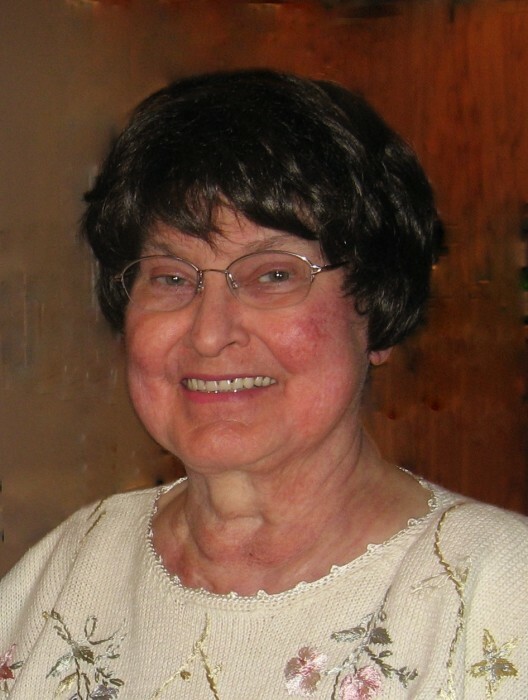 Betty Collins of Spooner passed into the hands of our Lord on February 4th at St Mary’s Hospital in Duluth, MN with her loving husband of 55 years by her side. Born in Spooner, WI to Raymond and Olive (Satter) Bray. Betty married William Collins on November 30th 1963 in her home town. In 1987, due to health challenges they sold their home, downsizing to a more manageable life style. Despite these challenges faced throughout the remainder of her life Betty focused on moving forward. Her strong positive outlook regardless of increasing physical limitations was admired by all who knew her. Betty enjoyed fishing, gardening and crafts of all kinds. Most importantly, spending time with grandchildren, neighbors, and close relatives was her passion. Betty is survived by her husband Bill Sr., her son, Bill (Karen), grandchildren Art (Ashley) and Lexi, four brothers, Marvin (Marian) of Spooner, Leonard (Elaine) of Hibbing MN., Vernon (Lynn) of Scandia MN., Grant (Valentina) of California, two sisters Rosemary (Arvid) Bruner, Superior, WI, Donna Bray of Spooner, and many nieces and nephews. Preceding her in death were her parents, two brothers Raymond and Robert, and brother-in-law Arvid. The family would like to extend a special thank you to all who cared for Betty at Spooner Hospital , Maple Ridge Care Center, and Shell Lake Health Care Center. A memorial service will be held at 1:00 pm on Saturday, February 16, 2019 at the Spooner Funeral Home. Visitation will be from noon to 1:00 pm.